The latest in IPSC fashion: a jet black cap with a red brim. Stylish and classic. This warm kangaroo pouched hoody is made by Gildan of 80% preshrunk cotton and 20% polyester. Sizes Small to XXLarge. 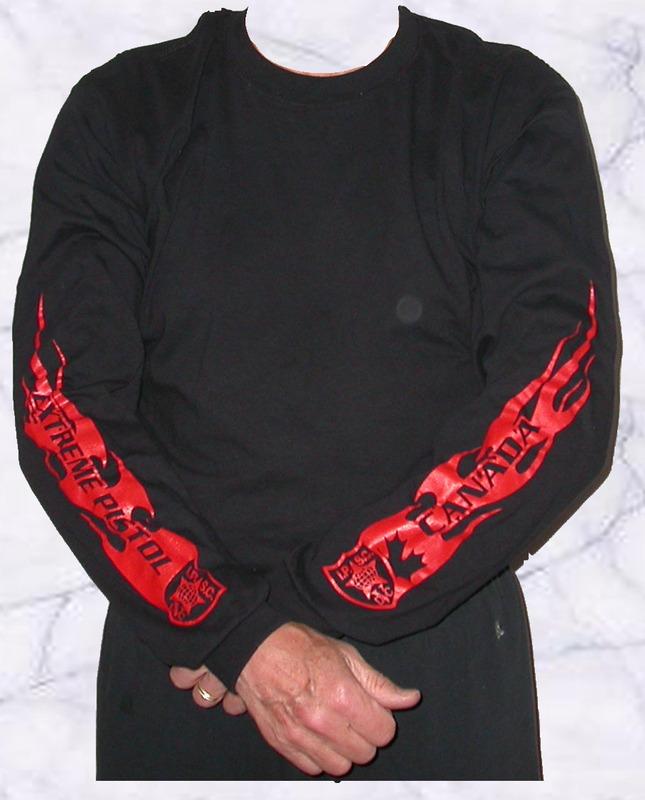 This article features the IPSC Canada logo on the left sleeve and the IPSC logo and Extreme Pistol on the right. This long sleeve T-shirt by Gildan is 100% preshrunk cotton. 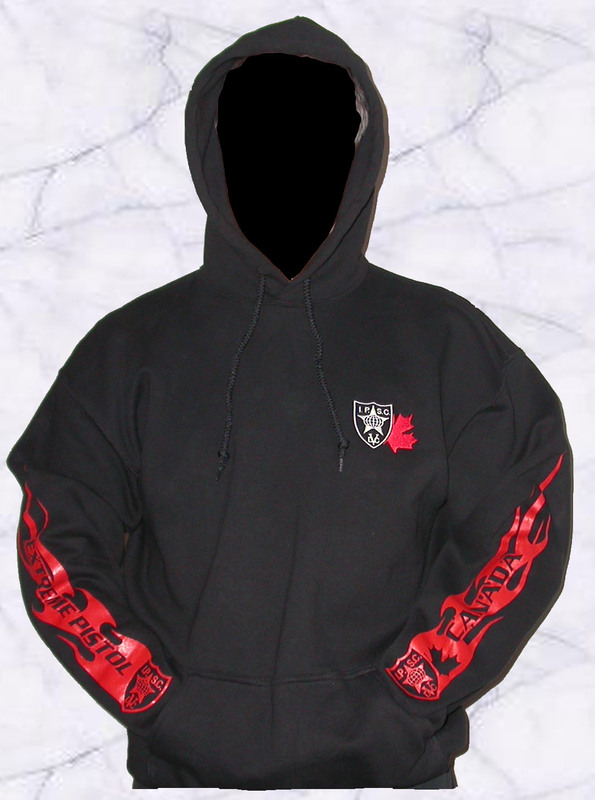 Available in black (shown) or white with red flames. Sizes Small to XXLarge. Support the Canadian IPSC Teams! 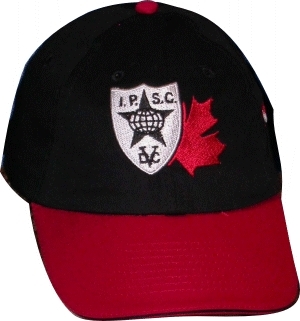 Part of the proceeds from all IPSC Canada logo clothing sold helps send our teams to international competitions. (C) Murray Gardner 2002-2016. All rights reserved.